On the 6th of April each year the tax codes change to reflect the new personal allowances, or how much you can earn before paying tax or tax at different rates. 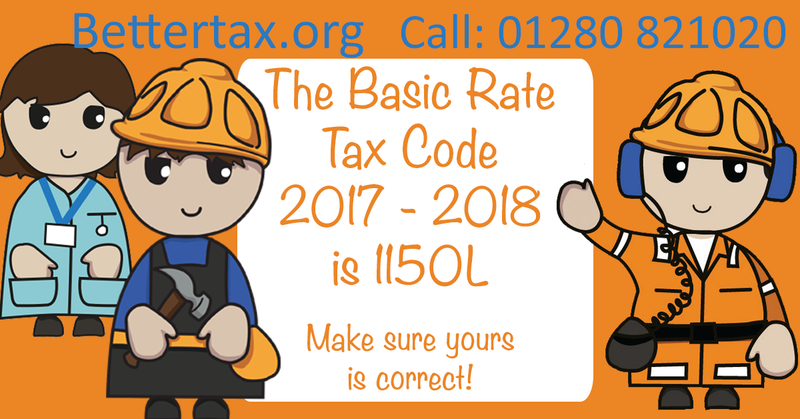 The basic rate tax code for 2017 – 2018 is 1150L. During the next few weeks HMRC will issue letters with your new PAYE tax coding. It is actually important to check your code and ensure it is correct, especially if you have received a tax refund in the past. HMRC have the tendency to assume that any expenses you claimed for before will be exactly the same every year – which is utter nonsense! You can find out more about our self-assessment tax returns service on this link!